We have replaced foam core and Gatorboard with a superior foam board. This solves a large problem – warping due to changes in humidity. Gator is much better than foam core, but not perfect. Both have a styrene foam center. Foam core has a paper based outside liner. Gator has a wood pulp based liner. Both absorb moisture and warp when the humidity rises. Warping happens when the front, back, and foam center absorb moisture at different rates. 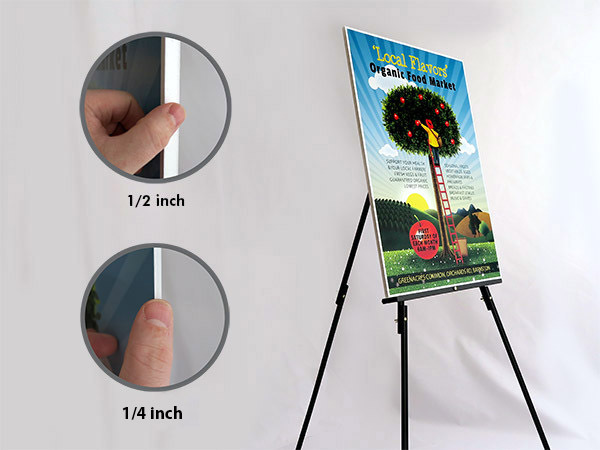 Our foam board signs do not warp with changes in humidity because it has a styrene foam center and a styrene exterior. Neither absorb moisture. Foam board signs can also be shape cut. As the dollar figure for each line item increases, volume discounts will be calculated and displayed.